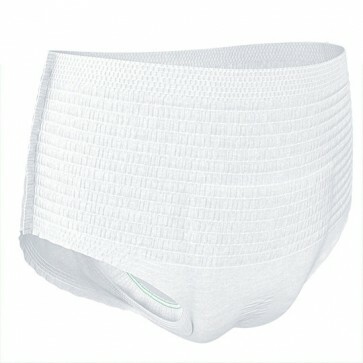 Soft and breathable material pants designed for managing heavy to severe incontinence. The pants are designed with a stretchy, soft and breathable material that allows air to circulate for optimum skin health and comfort. The pants provide a body-close fit for improved comfort and discretion, and have a thin flexible core shape to offer the user an accurate and secure fit. TENA Pants Super have been dermatologically tested to ensure they will not cause any irritation or damage to the skin.